President Obama is set to limit the National Security Agency’s ability to spy on our diplomatic allies, the New York Times reported Tuesday. Though the Obama administration says that a final decision has not been reached, administration and congressional officials told the Times that some decisions have already been made in the process, and the U.S. government will consider a no-spying pact with Germany. This news follows yesterday’s reports from anonymous White House officials that there would in fact be no end to spying. Apparently, the correct version of events is that there will be slightly less spying, and probably not on Germany or, say, France. 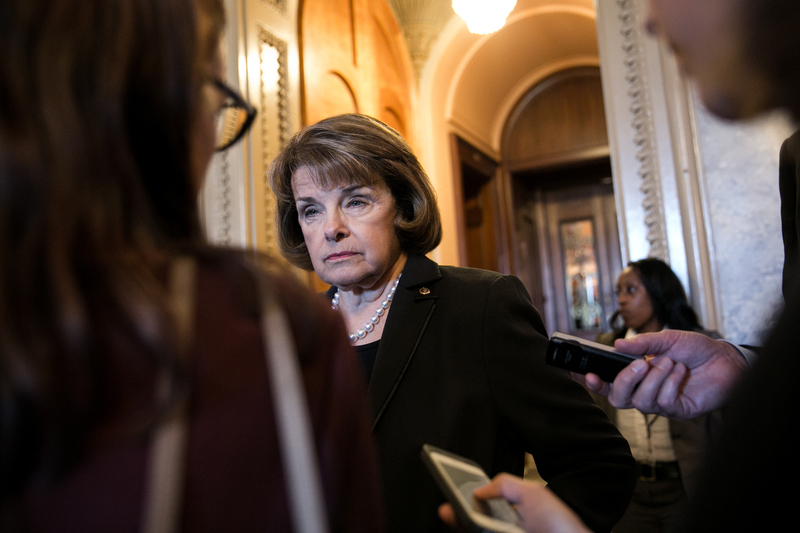 The disclosures were set off by a statement released by California Senator Diane Feinstein, who is the chair of the Senate’s intelligence committee. “With respect to NSA collection of intelligence on leaders of U.S. allies—including France, Spain, Mexico and Germany — let me state unequivocally: I am totally opposed,” Feinstein wrote. The White House denied that Feinstein's statement — that part that said the White house told her “that collection on our allies will not continue” — was accurate Monday evening. While the NSA acknowledged an impending pullback, they said they wouldn't stop monitoring foreign countries for criminal activity. According to the Times, the administration said the NSA will continue to collect information "in friendly countries that pertains to criminal activity, potential terrorist threats and the proliferation of unconventional weapons," which probably means that our friends in Egypt will remain under surveillance. It's worth noting that Feinstein's statement didn't just object to the NSA's data collection on our European allies. Rather, the senior senator from California talked about tightening the reins on surveillance more broadly. "[A]s far as I’m concerned, Congress needs to know exactly what our intelligence community is doing," Feinstein wrote. "To that end, the committee will initiate a major review into all intelligence collection programs." Staff on the Senate's Intelligence Committee said that she was not pleased with how much the committee was left in the dark. “She believes the committee was not adequately briefed on the details of these programs, and she’s frustrated,” one anonymous staffer told the New York Times. “In her mind, there were salient omissions.” Um, yeah. Just a bit. Which gets to the core of the problem: it's not that the NSA was conducting massive surveillance. It's that a hyper-secretive group of people had virtually unchecked powers to spy on all of us, and that they appear to have misrepresented the efficacy of those programs (54 attacks thwarted? Ha!) time and time again. We're supposed to have checks and balances; what we have now is the prologue to a dystopian novel about a totalitarian state. We should think long and hard about how believable it is that we spied on our allies without the president's knowledge. Again, this is President Micromanager that we're talking about here. But if that is the case, it befuddles me that no one has lost their job yet over this fiasco. If Obama indeed did not know about this, a failure to inform the president seems like a serious breach of responsibility. It would be bad enough if the president was the only form of democratically-elected oversight over this program. If he wasn’t even aware, the problems lie much deeper.